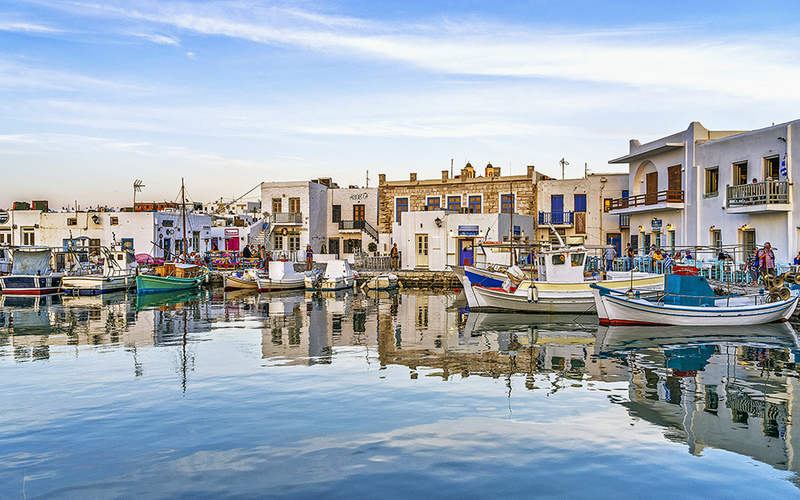 Perennially hospitable, Paros, one of the more seasoned Cycladic islands with an extensive tourism past, is also multifaceted in a fascinating way. The island’s tourism product is highly developed in Parikia, the island’s capital and main port, and slightly more cosmopolitan in Naousa. Many of its beaches are vibrant and adventurous, while others are quiet and detached. The villages of Lefkes and Marpissa are quaint, while the south, where locales are graced by fishermen, fishing boats and children roaming about freely while at play, is unpretentious and picturesque. The island’s marvelous coastline is filled with a succession of wide, sandy beaches. 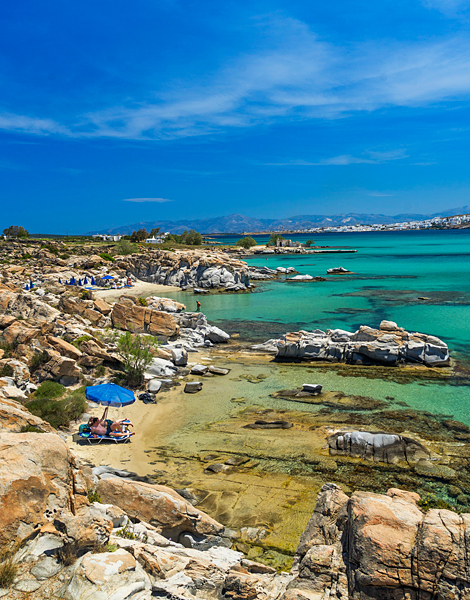 Paros’s early development as one of Greece’s first tourist islands, in the 1960s and 70s, was not coincidental. Kolybithres and Santa Maria, featuring an upbeat beach bar, are two renowned swimming locations. Visitors may indulge in a refreshing swim at Monastiri and, if they choose, stay on until later to enjoy a film at the open-air summer cinema, located inside the environmental park surrounding the beach. Molos and Kalogeros, covered with clay-rich beaches, rank as the quietest and most unadulterated options available, while Farangas, one of the island’s most impressive beaches, offers a good reason to venture to the island’s south. Discover the lovely Venetian port at Naousa. Late-night revelers and bleary-eyed fishermen are a common sight here just before daybreak. The port, along with the adjacent Aghios Dimitrios beach, represents the heart of the island’s nightlife. 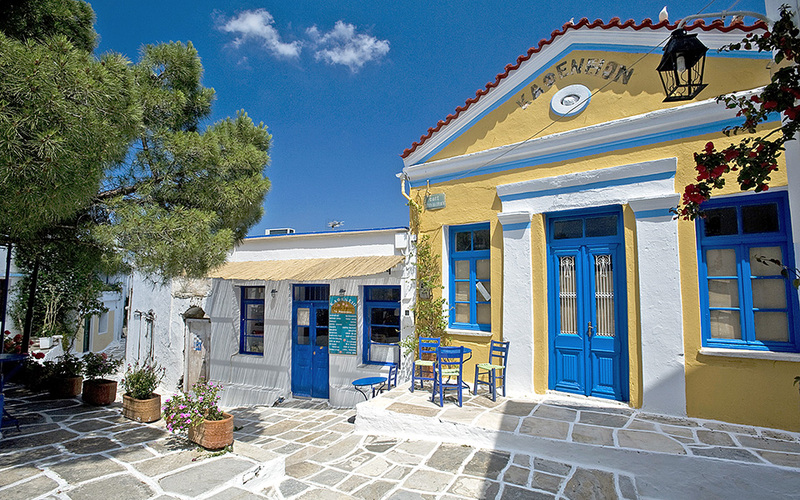 Worthwhile shops and interesting galleries operate in Naousa and Parikia. Look out for the Holland Tunnel Gallery in Parikia. The village Kostos, on the way towards mountainous parts of Paros, features a charming and quiet square that is ideal for coffee and some backgammon under the shade of its plane tree. Lefkes is recommended as the main destination for travelers heading inland. Head up all the way towards Aghia Triada church, which is located on one of the most beautiful squares in the entire Cyclades. On your way back to Parikia, visit Yria Ceramics. Marpissa is another village possessing strong character. Its three-day festival, held annually at the end of August, makes visiting the village even more worthwhile. Paros may be reached from Piraeus port by ferry (4 hours) or hydrofoil (2½ hours), or from Rafina port (roughly 25km east of Athens) by hydrofoil (4 hours). Unwind along the island’s playful and adventurous side. Chrysi Akti, meaning “golden beach,” offers plenty of beach volley and windsurfing activities. The bigger the waves and stronger the winds, the happier the people here are. 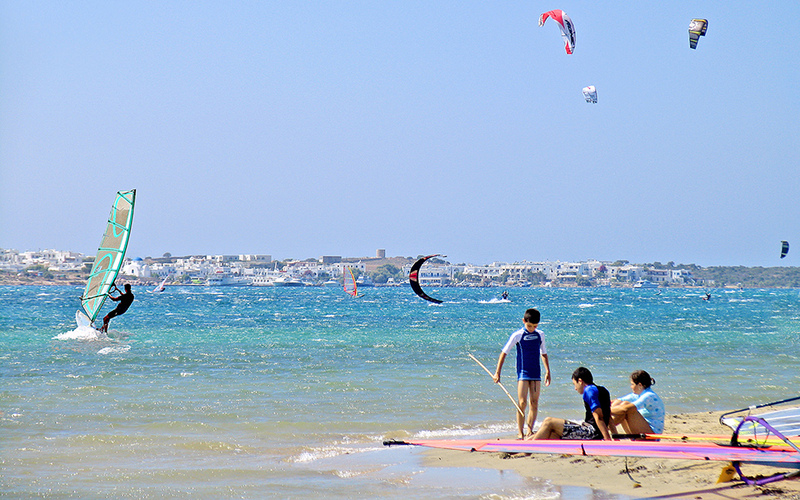 A major international kiteboarding destination, Pounta beach attracts enthusiasts of this sport from all over Europe. Passionate visitors either camp here or book accommodation nearby. They have absolutely no interest in what goes on elsewhere on the island. 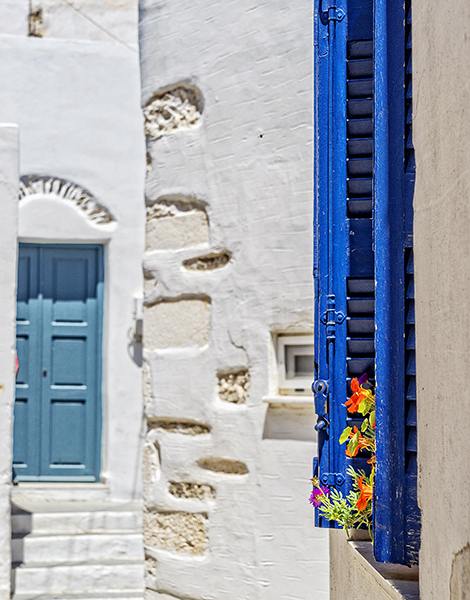 Look for the unadulterated parts of Paros. Every taverna in seaside Alyki, the island’s southernmost village in the Ageria region, maintains its own fishing boat, which increases the likelihood of enjoying fresh fish straight from the Aegean Sea even during the peak summer season. An annual celebration saluting the local fishermen, the Giorti tou Psara, is held here every August. Fireworks are launched from fishing boats over the port and traditional island dances further liven up the proceedings. One of the island’s most beautiful walking routes begins in Alyki. It runs by the Aghii Theodori monastery and winds up at Aspro Horio, where a splendid swim can be enjoyed at Lolantonis and Glyfa beaches, both in the area.